It’s about to get easier for East Tempe and light rail riders to get their daily cup of Press Coffee. 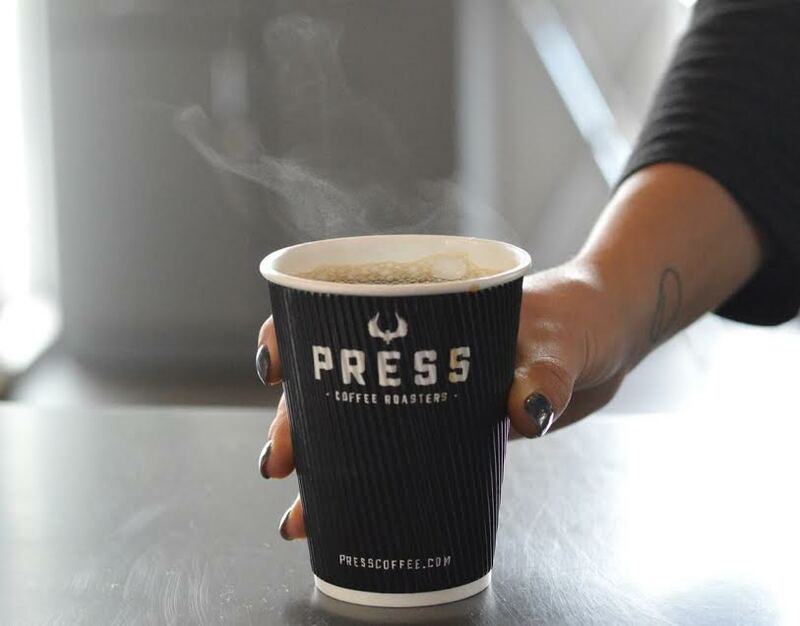 Press Coffee Roasters will open its newest cafe at Apache and Terrace on Thursday, July 27 and will be giving free cups of drip coffee to guests for three days to celebrate. Press Coffee at the Nexa Apartments (1221 E. Apache Blvd) is the second Tempe location for the roaster. The 1,300-square-foot space will serve espresso drinks, pour overs and cold brew made from Press’ award-winning roasts. It will also feature Press’ menu of breakfast and lunch items including its new specialty avocado toasts. Press Coffee at Nexa is the third collaboration with designer Larry Lake of Lawrence Lake Interiors. Wood-paneled walls and vintage-styled light fixtures contrast with the modern steel Synesso espresso machine and futuristic Clever Seraphim brewers. Press will be offering guests a free cup of small drip coffee on July 27, 28 and 29 to celebrate its opening. Press Coffee at Nexa will be open Monday – Saturday 6:30 am – 7 pm and Sundays 7 am – 5 pm. Press has been Phoenix’ local coffee roaster since 2008. It shares its passion for specialty coffee by providing the highest quality coffee products, service and knowledge with customers and community every day. Named Phoenix’ best roaster two years running, Press Coffee has six Valley locations in Scottsdale, Tempe, Phoenix and Chandler. Visit Press Coffee online at presscoffee.com and on Facebook, Twitter and Instagram @presscoffee.